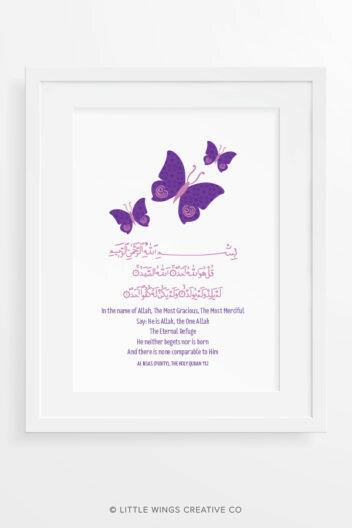 Send a little one off to bed with thoughts of Jannah in their head! 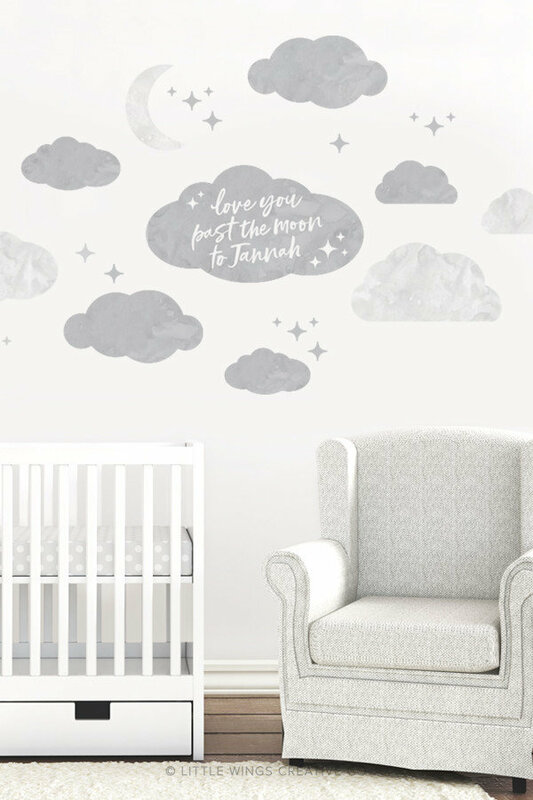 Transform your nursery or child’s room into a dreamy space with our Jannah Clouds wall sticker. 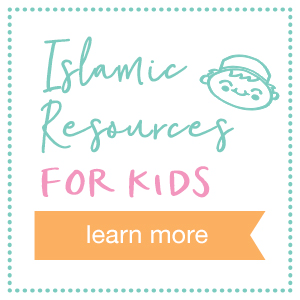 Featuring the words “Love you past the moon to Jannah” as a wonderful Islamic reminder for your child and to help create a positive Islamic environment. 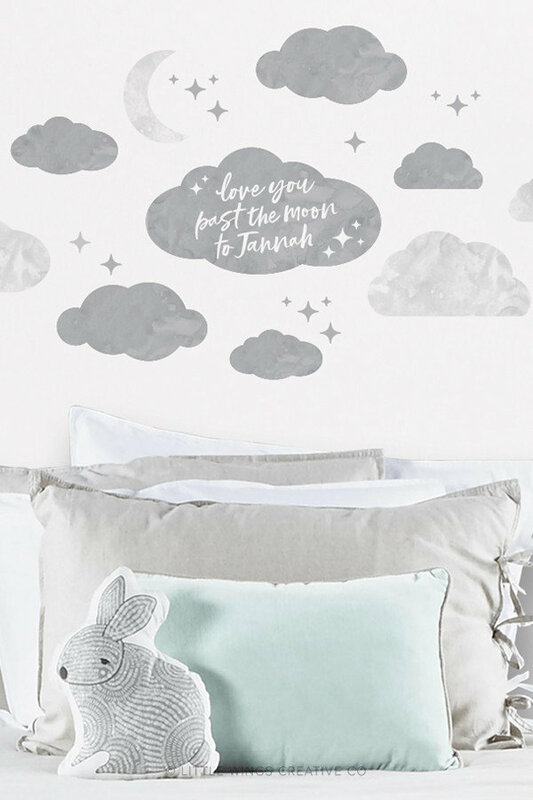 Designed in soft grey tones, with a beautiful watercolour texture, for a contemporary look that’s easy to co-ordinate with existing decor. NOTE: Please allow up to 2 weeks production time. 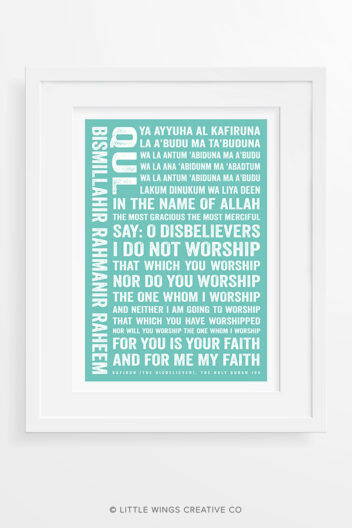 You will be notified as soon as your order has been shipped.